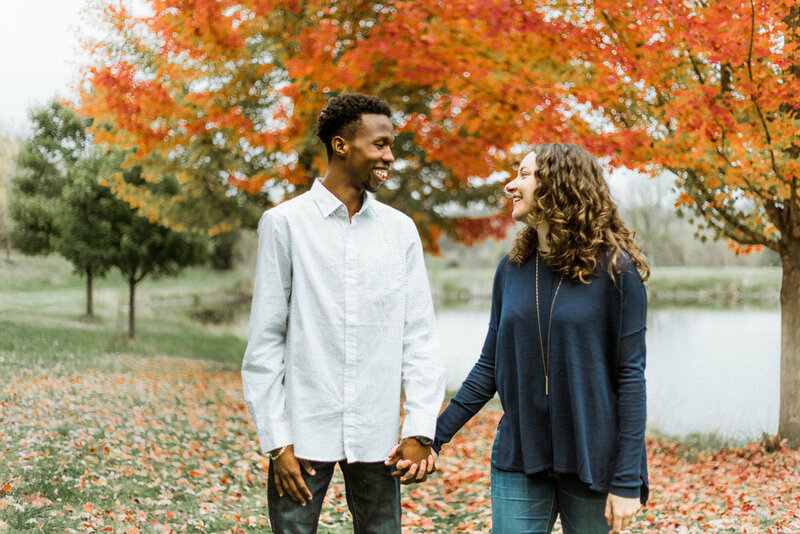 This is a story about a girl from Kansas falling in love with a boy from Kenya. 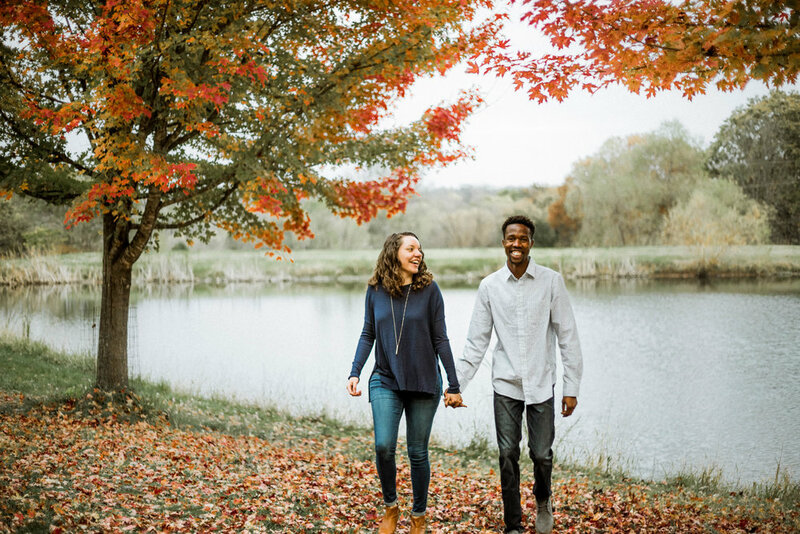 Daniel came to Kansas on a running scholarship and met Miriam at a local church. 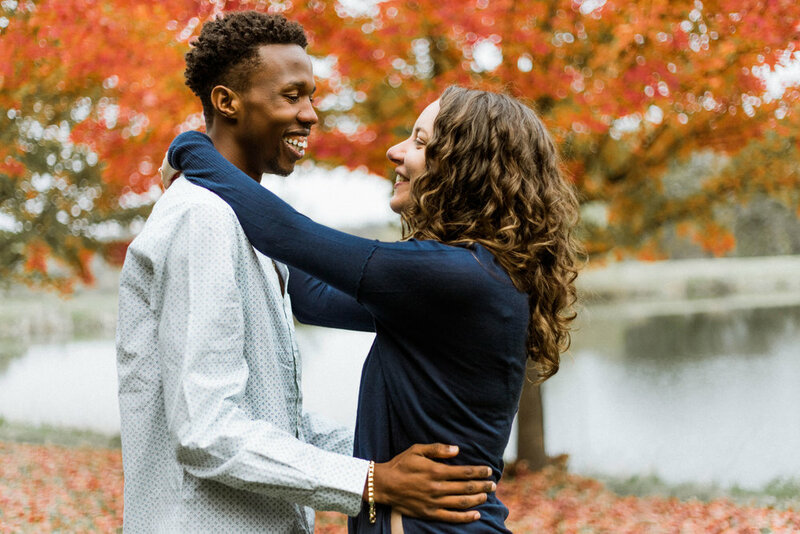 Kansas was the groundwork for their love to grow, but Kenya is where they said yes to each other forever. A few months ago they took a trip to Kenya to visit Daniel's family. As they experienced the culture together, Daniel was able to share with Miriam where he grew up. He took her on a safari and then shared some traditions with her with a close tribe called Maasai. It was there, with all the people of the Maasai Tribe that he got down on one knee and asked her to marry him. She said yes, and to commemorate the occasion they brought home the Maasai blanket (which we used in their engagement session!). 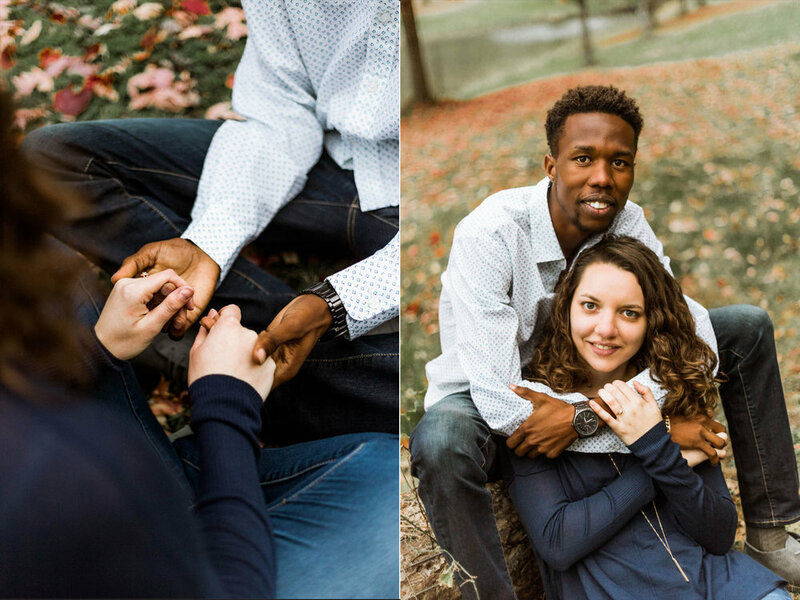 I love their story because it shows us that love knows no color or culture. God can bring two people together from different countries and backgrounds and work it for His glory. 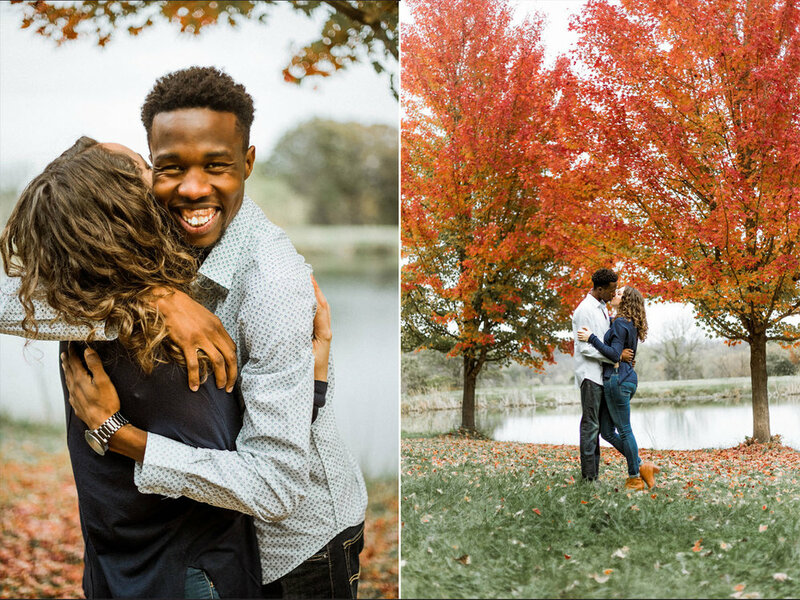 Daniel and Miriam were so fun to photograph because their connection was so visible and tender. Daniel runs cross country for the University of Kansas, so they asked if we could do their session at Rim Rock, the cross country farm near Lawrence, KS. I said, "Of course!" I'm so glad I did, because this location was stunning! 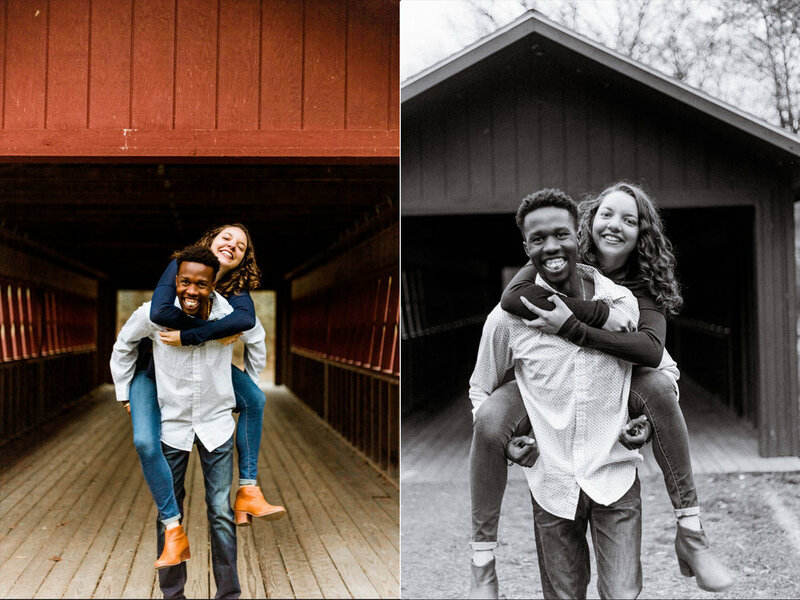 The colors of the trees were a perfect background to document their story.